Payroll processing can be a labor-intensive chore, particularly for small businesses with limited staff. At A & J TAX AND PAYROLL SERVICES LLC, we provide efficient, reliable payroll processing at a reasonable cost, including printing or direct-depositing paychecks, managing deductions, allowances, and withholding, filing quarterly and year-end state and federal payroll tax forms and making electronic tax payments, as well as comprehensive payroll reporting to help you manage your staff and run your business efficiently. A & J TAX AND PAYROLL SERVICES LLC offers a state-of-the-art cloud-based payroll processing service that enables our firm to work collaboratively with you. Our payroll service can be customized for the specific needs of your business, allowing you to have as much, or as little, direct involvement with payroll as feels comfortable to you. Our fully-secure, cloud-based payroll processing system includes check printing, direct deposit of paychecks, electronic tax payments and tax filings and compliance, and a wide variety of payroll reports to help you to run your business efficiently. Because our system is cloud-based, it enhances productivity and security by streamlining your payroll processes. In addition, we provide you with personalized professional advice on all payroll matters for your firm. As a business owner, your focus is on your customers and your business, not on administration and paperwork…and that's as it should be. As payroll experts, we can help keep your focus where it belongs. At A & J TAX AND PAYROLL SERVICES LLC, we may not be as big as the payroll processing giants, but to us, you are more than a number – we get to know you and your needs, and we provide you with personalized, custom-tailored professional service and advice. Our experienced staff can manage any and all aspects of your company payroll, from check printing and paycheck direct deposits to year-end payroll tax compliance… we take the hassle out of payroll processing for you. Payroll processing doesn't end when paychecks are issued. 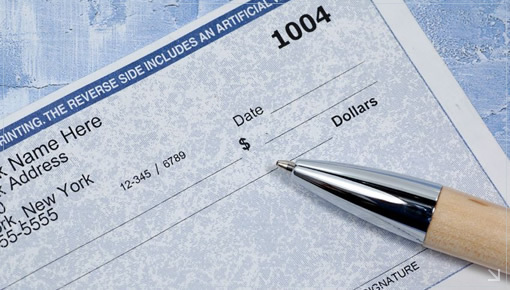 Even if you handle the actual paychecks yourself, the tasks associated with payroll processing - collecting and maintaining employee data, calculating taxes, benefits, and withholding, reporting unemployment taxes, managing allowances and deductions, filing multiple quarterly and annual state and federal payroll tax forms, on-time payment of payroll taxes, and payroll reporting – can be time-consuming, confusing, and complicated. At A & J TAX AND PAYROLL SERVICES LLC, our expert staff understands the complexities associated with payroll processing, and will seamlessly and reliably handle the necessary calculations, file the appropriate forms, comply with the applicable regulations, calculate and pay the required taxes on your behalf, and collect and issue comprehensive reports to help you maintain an accurate and thorough picture of your payroll costs.